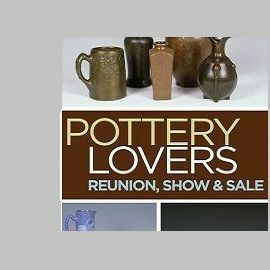 Although the vast majority of the pottery produced by Polia Pillin was from California beginning in 1948, there are examples from her kitchen studio in Chicago from 1946 and 1947. 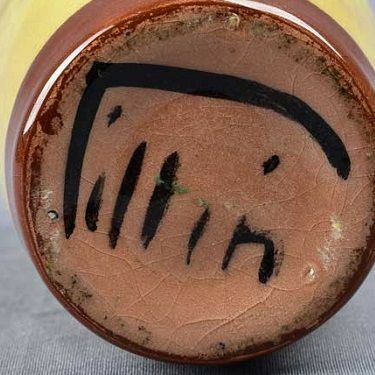 These rare examples will usually be inscribed with a 46 or 47 for the year, and they are typically incised with the Pillin signature. 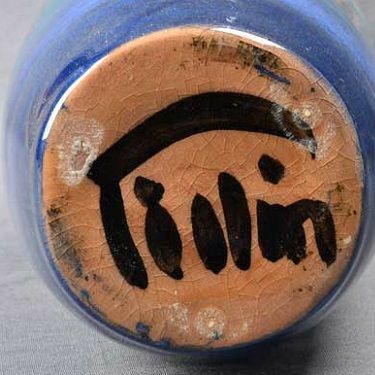 Some pieces can be found with an inscribed "W + P" above the Pillin signature. This was an early indication that William had thrown the piece and Polia had decorated it, a practice that became commonplace for decades. 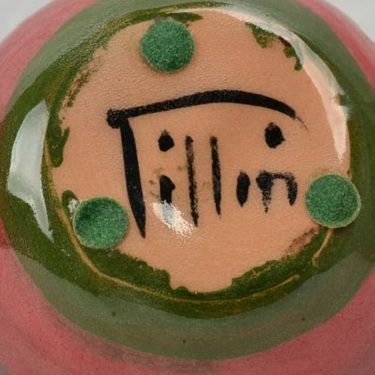 The vast majority of Pillin Pottery is marked with her iconic "Pillin" signature in black. 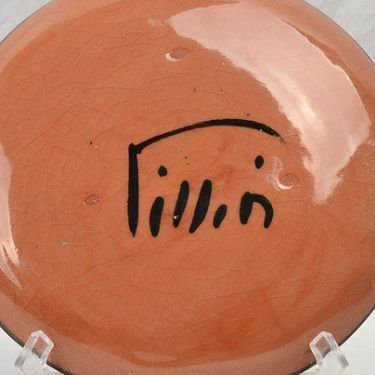 There was a small amount of variation and evolution in the signature, so very close inspection can sometimes reveal approximate periods when the piece was likely produced. 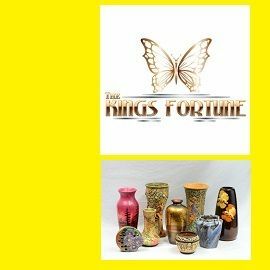 This however does not appear to have much bearing on the value of any particular piece in the marketplace. 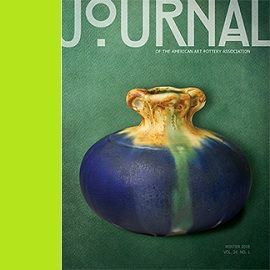 Collectors tend to buy what they like with little regard as to whether it is an early piece or a later piece. In general, the earlier pieces tend to be thicker in construction. There have been reports of fake pendants occasionally appearing in the marketplace. They appear to be "one-offs" and not part of widespread operation. 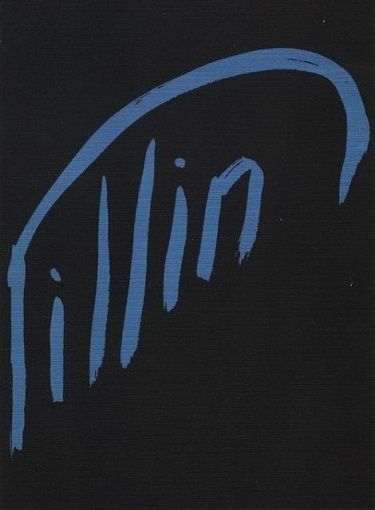 Most collectors who are familiar with her work can identify them as fakes immediately. 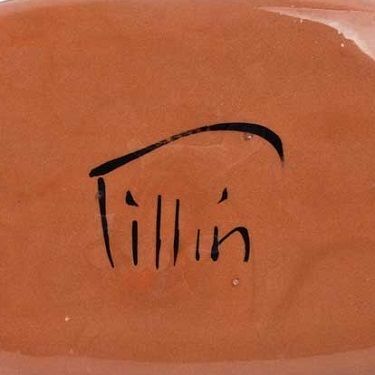 Nearly all Pillin pottery is made from a red brick-colored clay, and it is very distinctive. 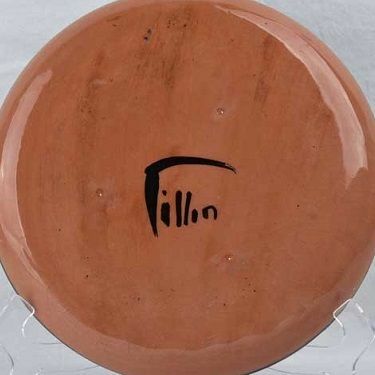 Well over 95% of Polia Pillin's ceramic work is highly crazed. This is actually quite predictable, as her studio did not have a team of chemists and the equipment available to larger commercial operations. 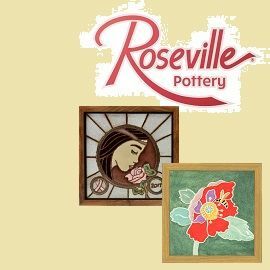 Those few pieces which come to the market uncrazed can sometimes command multiples of the expected price for a comparable piece with average crazing.